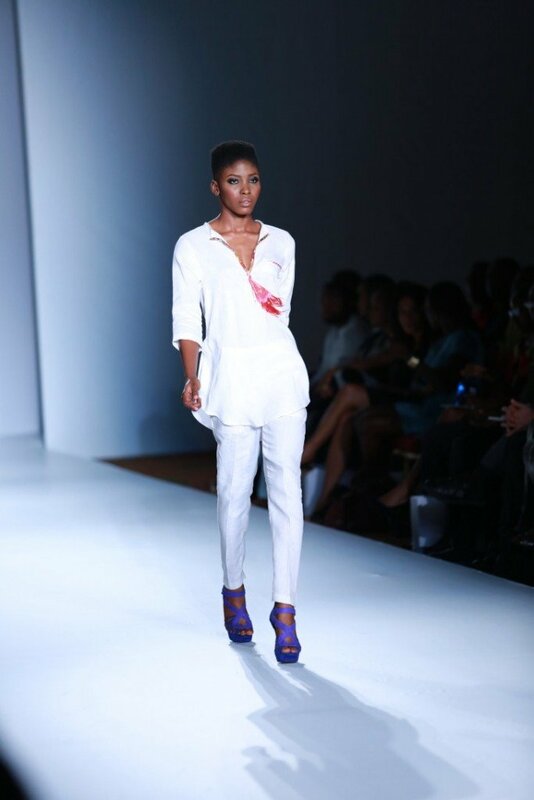 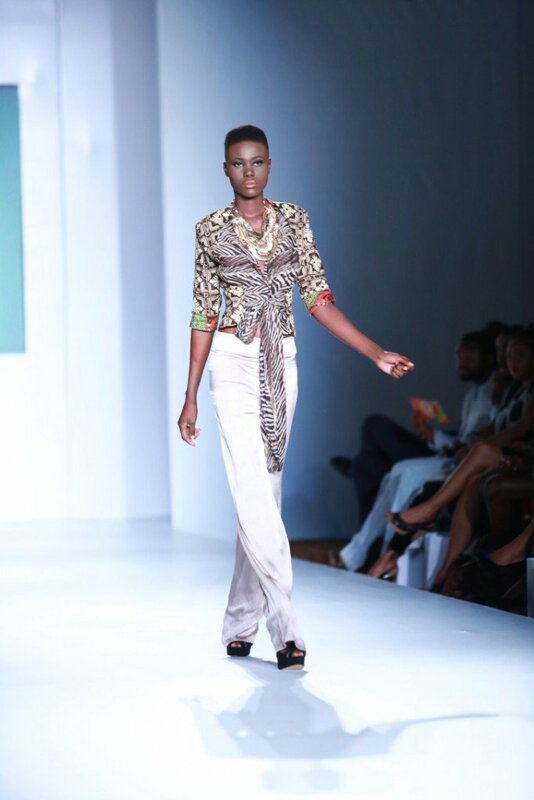 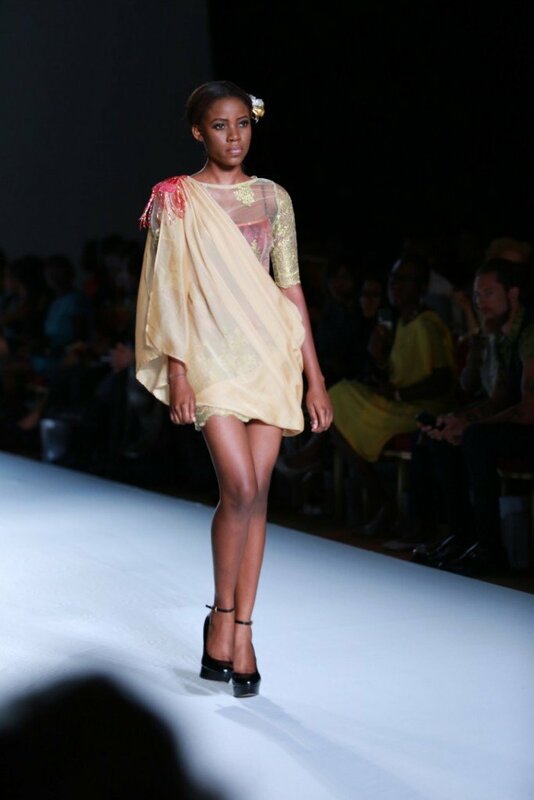 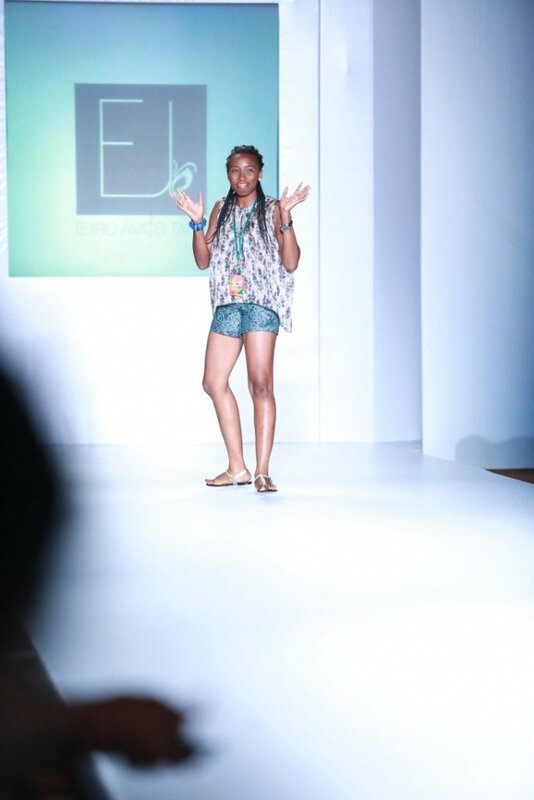 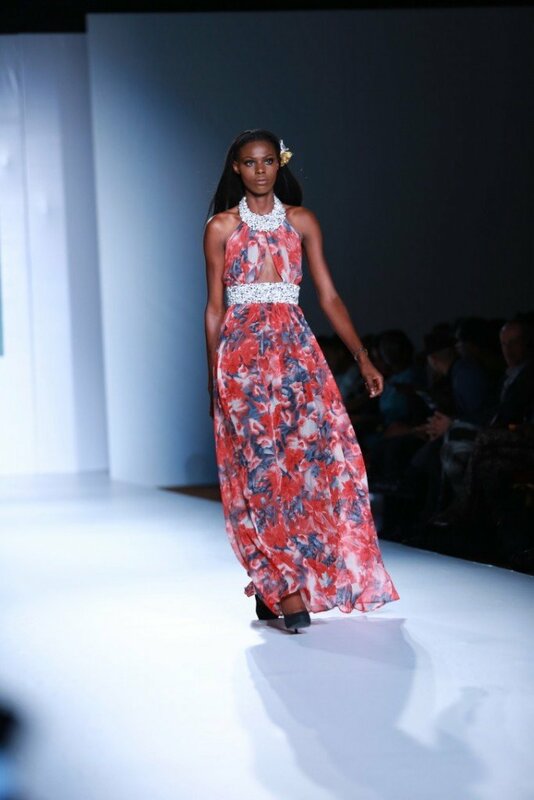 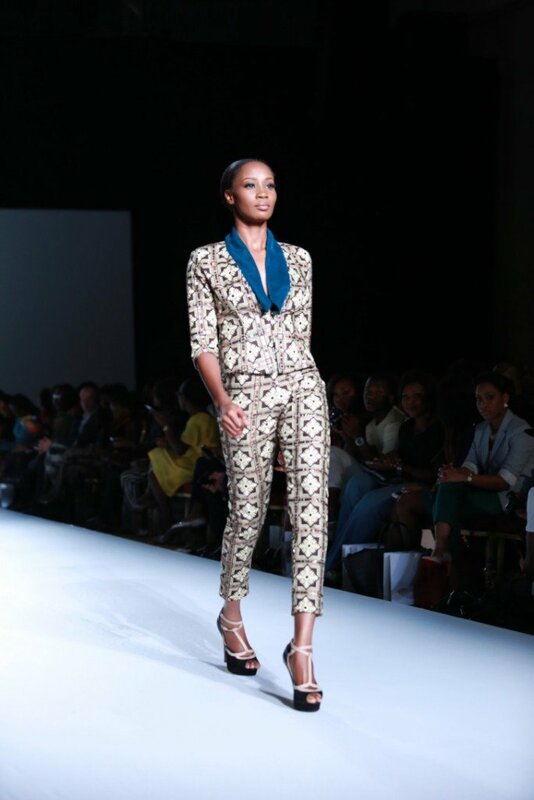 Ejiro Amos Tafiri delivered with finesse her signature blend of soft silks, summery cottons and playful prints in a range of feminine silhouettes on the MTN Lagos Fashion and Design Week runway. 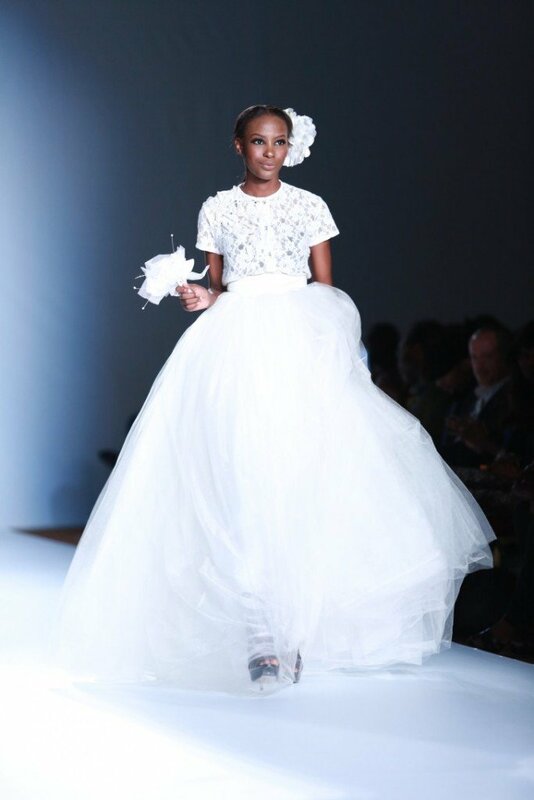 The grand finale came in the shape of a princess-worthy wedding gown, surely a surprise as well as a piece de resistance from the designer. 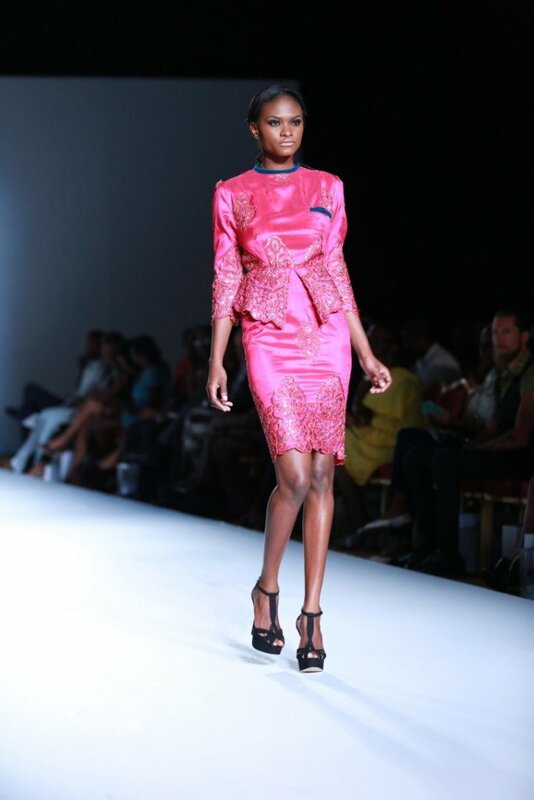 Our favourite piece though had to be the pink satin two piece, peplum blouse and pencil skirt with embroidery and velvet collar and pocket detail.